Baseball is back and with it comes the return of Kevin Pillar, one of the most reliably terrific defensive center fielders in baseball. Dinger-mashing Manny Machado tried to squeeze one past him tonight, but Pillar pounced on it, even if he had to run into the fence in the process. 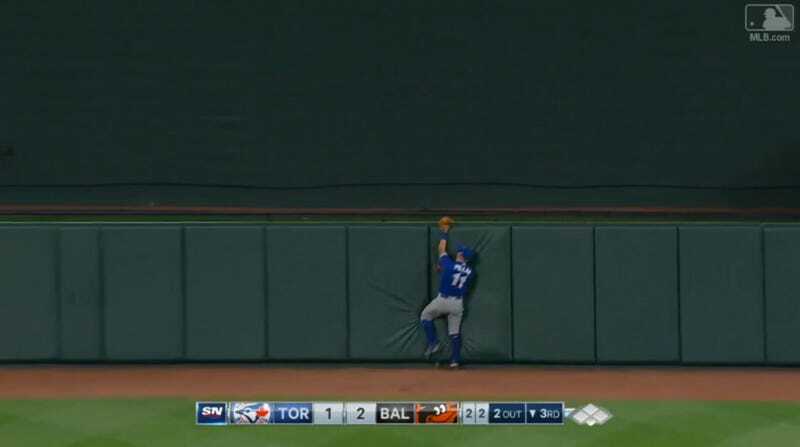 Pillar’s no stranger to walls, so at least he knew what to expect.